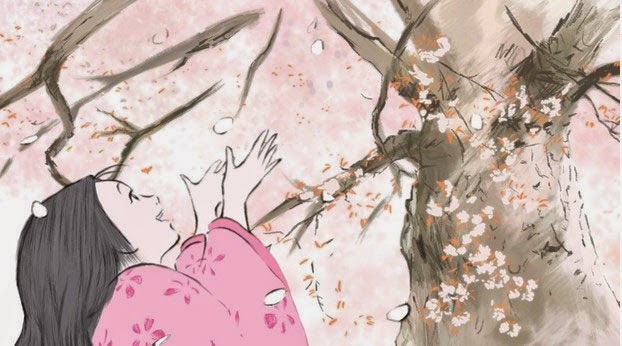 Isao Takahata’s The Tale of Princess Kaguya is a glorious celebration of what it means to live and die on this earth, an impossibly ambitious and beautiful masterwork about the agony and ecstasy of inhabiting our mortal plane. I have barely even begun to unpack the depths of what Takahata and Studio Ghibli have accomplished here, for in adapting Japan’s oldest folktale, in which a bamboo cutter attempts to construct his heaven-sent daughter the life of a Princess, Takahata has crafted something genuinely transcendent. The artwork alone, a singular mixture of storybook sketch-work and lush watercolor strokes, is as experimental as it is breathtaking, and the feminist undercurrent, which posits that the life of a Princess is no life at all, is the ultimate answer to every empty Disney movie ever made. The film is a powerful parable about the quiet dignity and existential joy of ordinary human life, and it builds to a final half-hour of such staggering beauty and tragedy that the very act of watching feels like a profoundly spiritual exercise. Takahata has long existed in the shadow of colleague Hayao Miyazaki, at least in Western criticism and scholarship, but The Tale of Princess Kaguya is a powerful reminder of what a passionate, humanistic filmmaker he is, and why his wonderful career has been such an extraordinary gift to world cinema. The Tale of Princess Kaguya is now playing in select theatres, and will arrive on DVD and Blu-Ray February 17th. 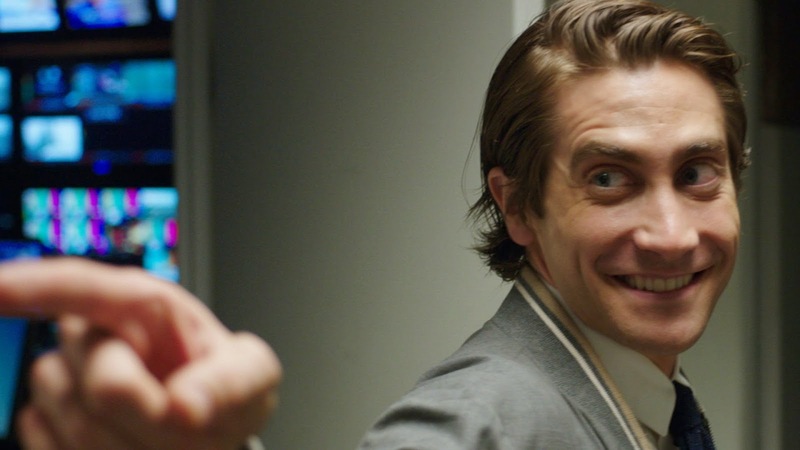 Dan Gilroy’s Nightcrawler may be the year’s most enjoyable nightmare. A provocative indictment of our violent and sensationalistic media landscape, Gilroy plants the final nail in the coffin of ethical journalism with this story of a sociopathic go-getter who starts filming nighttime murders and grisly car accidents for the morning news, only to start manipulating crime scenes, and everyone around him, in pursuit of the perfect image. It’s a brilliant film that could not possibly feel more relevant, a sort of Taxi Driver for the 21st century that is every bit as radical and prophetic as the Martin Scorsese classic. But Nightcrawler is also devilishly entertaining, filled with sequences of expert tension, volumes of sly humor, and some of the year’s most inspired, immersive photography, courtesy of the great Robert Elswit. Yet it’s in the career-best performance of an intensely committed Jake Gyllenhaal where Nightcrawler shines brightest. Lou Bloom is a funny, creepy, wonderfully enigmatic gift of a character, the disturbing end product of the gawking, bloodthirsty culture we have all participated in creating. Our nightmare is his feeding ground, and in allowing Bloom to excel as far as he possibly can, Gilroy renders the terror of this story all too immediate. Nightcrawler is now playing in select theatres, and will arrive on DVD and Blu-Ray February 10th. While I have always found it either pretentious or unfair to burden any film with the label of ‘importance,’ in the case of Ava DuVernay’s Selma, there is no other word for it: This is an important film, a stunningly realized piece of historical reflection that could not possibly feel more vital in America’s current racial landscape. As protests unfold across the nation over the murders of Michael Brown, Eric Garner, Tamir Rice, and many others, once again making it impossible to ignore the staggering racial inequity in this country, DuVernay looks back to the life of Dr. Martin Luther King Jr. and the 1965 marches from Selma to Montgomery, which successfully pressured President Lyndon Johnson to introduce the Voting Rights Act. The film is graceful, intelligent, and passionately made, a beautiful and complex portrait of Dr. King and other key figures at this crucial juncture in the struggle for civil rights. It is also absolutely uncompromising in its depiction of racial injustice, immersing the audience in the daily degradation felt by African Americans during this period of unchecked white supremacy, and powerfully relating the fear felt by these brave men and women while peacefully protesting against violent opposition. DuVernay has achieved something truly masterful here, a historical drama of supreme emotional impact and unparalleled contemporary power. Few films this year have left me more shaken, and none have felt quite so essential. 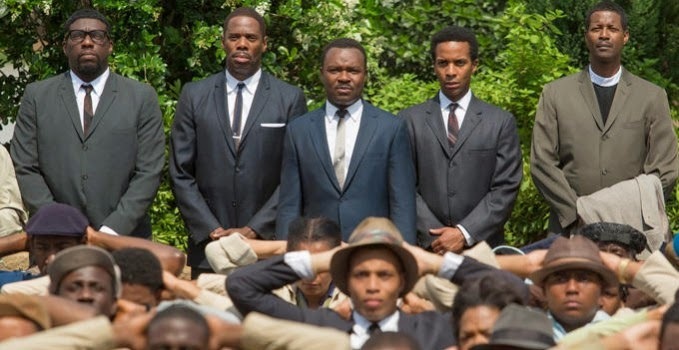 Selma arrives in limited theatrical release on December 25th, and will expand nationwide January 9th. No film this year was more challenging than Myroslav Slaboshpytskiy’s The Tribe, and not for the reasons one might think. The film is set at a school for the deaf and is performed entirely in sign language, without any spoken dialogue or subtitles – but it’s the shocking, visceral extended sequences of violence and brutality that make The Tribe a difficult, demanding watch. As the young, innocent protagonist is thrust into an underground world of crime, The Tribe takes us on a journey to the depths of hell, where each step in the inhuman spiral is more vicious and unimaginable than the one before. The film is an incendiary, unflinching look at mankind’s brutal animalistic nature, and the sheer depths of degradation and desecration human beings are capable of when placed in desperate, isolated social settings. This is as bleak and cynical a film as I can imagine, but not without a point, for the corroded heart of darkness the film identifies as central to the human experience is hardly one we can ignore existing in our own world. The performances, by a cast of young, non-professional actors, are uniformly excellent, and the film is an incredible technical accomplishment, constructed entirely of long, uninterrupted takes that make it impossible to look away from the horror unfolding on screen. Plenty of films feature violence, many in more copious amounts than this, but the number of movies that are actually about violence, engaging deeply with the endless circles of pain and suffering that human brutality and exploitation causes, is small, and The Tribe is one of the best ever made. The Tribe has been picked up for distribution by Drafthouse Films, who will release the film in theatres and on home video in 2015. Two years ago, Joshua Oppenheimer’s The Act of Killing burst onto the documentary scene with the force of a tidal wave, its unique and harrowing approach to exploring the 1965 Indonesian anti-communist massacres – through rigorous interviews and recreations with the killers themselves – granting the film legendary status almost immediately. This year, Oppenheimer returned with The Look of Silence, and it’s even better. At once a more narratively streamlined and emotionally complex work, The Look of Silence explores those perspectives The Act of Killing did not, diving deeper into America’s horrific role in the massacres, the corruption and propaganda at work in the Indonesian government, and most importantly, what it is like to be a victim in a context where voicing the terrible truth is illegal. The film follows an optometrist, Adi, as he interviews the killers and government officials involved in his older brother’s murder. It is a perilous journey, where saying the wrong thing to the wrong person could be absolutely ruinous, and yet Adi is driven by this incredible, deep-seated compulsion towards forgiveness, desperate to understand the killers so that he may come to peace with the horrible things they did. As Adi tears himself apart looking for some shred of remorse in those who wronged his family, the film lays bare some staggering truths about the ethereal nature of responsibility, regret, grief, and compassion. Wrenching and thought-provoking from start to finish, The Look of Silence is a truly profound film about the search for absolution in a thoroughly broken world, a daring and beautiful work that cuts closer to the heart of the human condition than any film this year. The Look of Silence will be released to theatres and home video by Drafthouse Films in 2015. 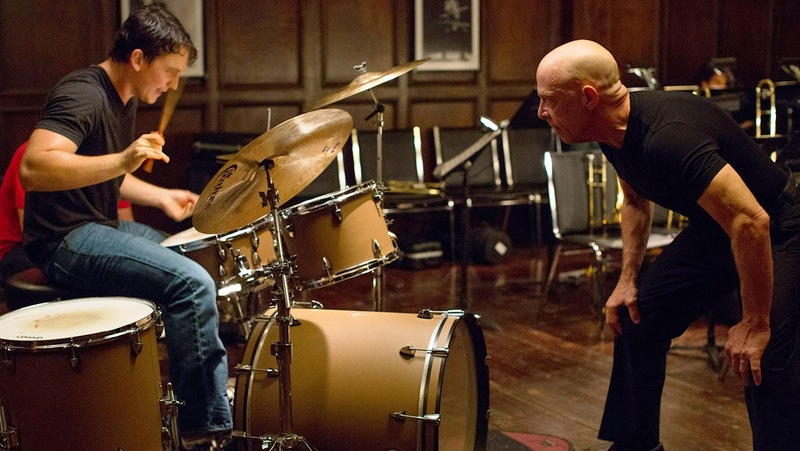 2014 played host to an unusually high number of excellent blockbusters and action flicks, but for my money, no film this year was more consistently tense or edge-of-your-seat thrilling as Damien Chazelle’s inspired indie musical drama Whiplash. Following the relationship between an ambitious young jazz drummer and the Conservatory conductor who will stop at nothing to push him further and further, Whiplash is built on the most complex and rewarding character dynamic of the year, one that forces us to ponder the limits of morality in the quest to foster talent. This is a truly masterful film about obsession, about the ways people lacerate themselves in pursuit of greatness, and every time Miles Teller steps into the proverbial ring with J.K. Simmons – given greater room to spread his vicious, profane wings than ever before – Whiplash becomes a masterclass in the building of stakes and construction of tension. I don’t know if the performance of music has ever been this exciting on film, and the brilliant, electrified finale is the single most exhilarating screen moment of 2014. Whiplash is now playing in select theatres. The grand technical achievement of 2014 wasn’t a studio blockbuster, but the experiential single-take illusion of Alejandro González Iñárritu’s Birdman. The unbroken flow of images crafted by ace cinematographer Emmanuel Lubezki is a wonder to behold, and it’s all in service of a terrific story about the search for existential validation through the rigors of creative passion. From the electric opening moments to the beautifully transcendent ending, Birdman is as rich, entertaining, and downright energetic as anything to hit screens this year, with searing, career-best work from Michael Keaton, Edward Norton, and Emma Stone, whose smile makes for the year’s most euphoric and inspiring image. And with deep insight into the struggle between art and commerce, into the seeming impossibility of satisfying both oneself and one’s audience, this is the rare film that digs deep into some of the biggest questions human beings can ask, all while maintaining a palpable sense of existential wonder and ecstasy. Managing that balance is one of the greatest signs of cinematic maturity I can imagine, and it makes Birdman one of 2014’s most vibrant works of art. Birdman is now playing in select theatres. The Grand Budapest Hotel may be the Wes Anderson equivalent of Jean Renoir’s The Rules of the Game, a lively and enchanting adventure with the second World War dancing around the fringes. Anderson is perhaps the greatest living optimist of the cinema, and he sets his story on the eve of the twentieth century’s darkest hour to make a point it feels his entire career has been building towards, about the ability of kindness to ripple down through generations, and the importance of storytelling in keeping hope and humanity alive during the darkest of times. No cinematic world this year felt more fully realized than the fictional Republic of Zubrowka, with Anderson’s talent for detailed and imaginative production design reaching a wondrous fever pitch. Every single image is an outright masterpiece, a major accomplishment of color and composition and depth, and in Ralph Fiennes’ exquisite portrayal of legendary concierge M. Gustave, Anderson has gifted us with the greatest character creation of the year. 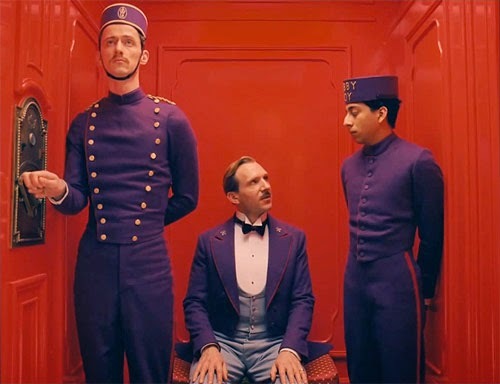 The Grand Budapest Hotel may look like a box of delectable candies on the surface, but it offers a rich full-course meal of inspired storytelling and piercing human insight, proving once again that Wes Anderson is one of the most essential voices working in contemporary cinema. The Grand Budapest Hotel is now available on DVD and Blu-Ray. Hypnotic. Haunting. Sensual. Rapturous. All words that can rightly be used to describe Jonathan Glazer’s Under the Skin, and yet no verbal description can come close to encompassing the aesthetic might of this awe-inspiring experience. Irreducible even to concrete thoughts or interpretations, this ethereal journey through the eyes of an alien visitor forces us to examine human nature from an extraterrestrial perspective, and it’s intoxicating. Scarlett Johansson has never been better than she is here, as a mysterious creature quietly struggling to understand her identity in another species’ skin, and the imagery Glazer conjures provokes some of the darkest, deepest sensations of wonder I have ever felt in a theatre. At 108 minutes, the film feels both eternally long and impossibly short, seeming to last for a mere instant yet with the impact of a cinematic lifetime, and the moment it ended, I struggled to direct my mind towards anything else until I returned to watch it again. As much or more than any other film I have ever seen, Under the Skin is drenched in the terrifying euphoria of the sublime, and has completely redefined my perceptions of how far cinema can push us. The film scares me deeply, even as it excites me on a practically chemical level, and like a moth to the flame, I know I will be drawn back into its orbit, time and time again, just to access the intangible higher power it summons so completely. Under the Skin is now available on DVD and Blu-Ray. A fuller analysis of the film can be found as part of this essay. “Don’t worry. Thinking comes later,” says stoner private eye Doc Sportello in the opening scene of Paul Thomas Anderson’s wonderful, woozy Inherent Vice. Doc is practically telling us how to watch the movie, because in adapting the novel by Thomas Pynchon, Anderson has created both the year’s most densely plotted film and its most emotional, sensory experience. On first viewing, one simply has to put the plot aside and let oneself get swept up in the embarrassment of riches the film has to offer. You feel transported by Robert Elswit’s beautiful cinematography, image after masterful image drenched in deep, cool blues and luscious, sun-kissed oranges. You sit in awe at the sheer number of great performances on display, by Joaquin Phoenix’s gentle, wounded heroism, or Josh Brolin’s lunatic turn, or the spellbinding enigma that is Katherine Waterston, each actor reciting dialogue so precise, playful, and passionate that it’ll make your head spin. You get hit right in the gut by all the weird, wacky jokes that pepper every scene, and by the sadness, for lost things and passing eras, that underline every step of the film’s progression. Then, when the film is over, you do start to think about it, and you begin to understand how deceptively simple and direct the labyrinthine plot really is. You realize how deeply the film’s pathos run, and how elegantly Anderson expresses the historical and personal sense of longing at the heart of the story. It hits you that this is ultimately a movie about loss – about those who have died, or loves ones who slipped through our fingers, or lifestyles that erode as political sentiment shifts. All those things which change, and all the things we shed, as we move through this life, and the way those things, once gone, are forever inaccessible, intangible, and how that insatiable desire can make the world itself seem like an altered state. And with all of this rattling around in your head, you go back and re-watch the film, and it becomes e­xponentially richer and more rewarding than before. The cycle repeats, and it just gets better every time. This was an amazing year for movies, with literally dozens of films that already hold a special place in my heart, and yet no film these past twelve months moved me quite as much as Inherent Vice, made me as positively high on the sheer power of a unique cinematic vision realized so completely. Anderson has not only crafted the most intellectually and emotionally satisfying film of 2014, but also its most entertaining and compulsively watchable. It’s a combination that seems nothing short of miraculous. 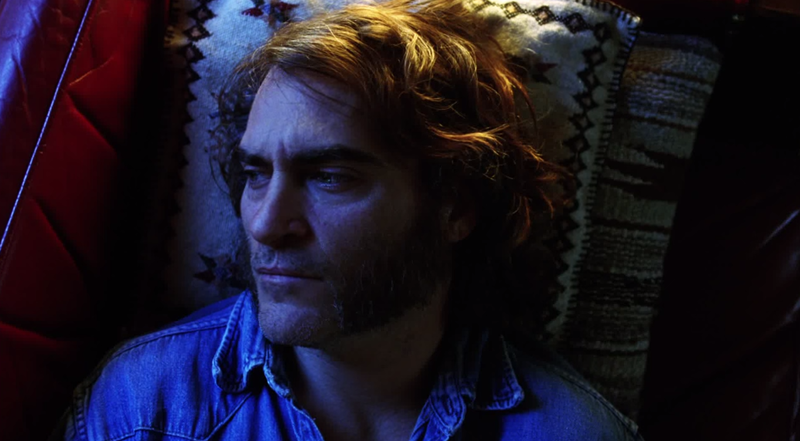 Inherent Vice is now playing in limited release, and will open nationwide on January 9th. 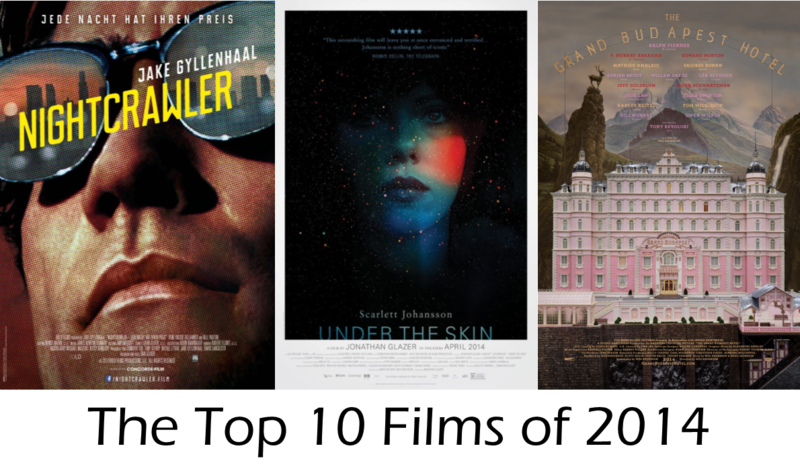 What were your favorite films of 2014? Sound off in the comments, and come back on Monday for more celebration of the year’s best, as we extend this list all the way out to #30 and beyond. Follow Jonathan Lack on Twitter @JonathanLack.